Your “quest” for a high protein snack is over! Quest Bars and Cookies are absolutely loaded with protein – the bars have a whopping 20-21 grams and the cookies have an admirable 15 grams. The protein comes from a proprietary blend of milk protein isolate and whey protein isolate, which yields high quality, fast-digesting proteins. You’ll also find plenty of fiber (15-16 grams in the bars and 9 grams in the cookies), which helps keep the net carbs low and as well as natural flavors to give you choices like Cinnamon Roll, Blueberry Muffin, and Maple Waffle. And it’s also about what’s NOT in these bars and cookies. You won’t find any gluten, soy, added sugar, nor trans fats. 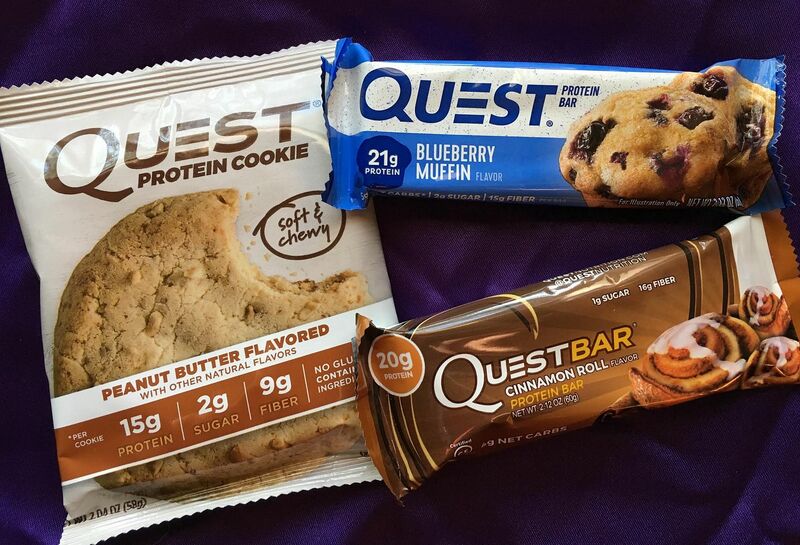 Check out Quest Bars and Cookies for a high protein, high fiber on-the-go snack with lot of flavor options to choose from.